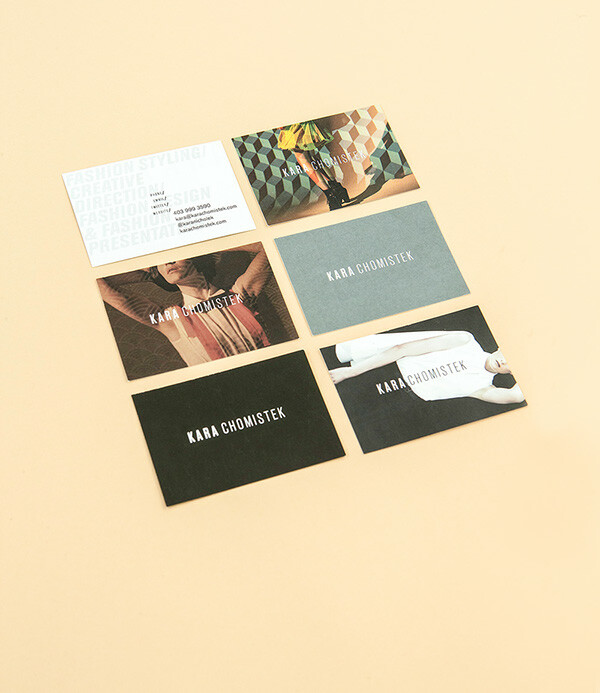 Kara Chomistek approached Lisa Turner Design with a task to provide her with a new visual identity system. 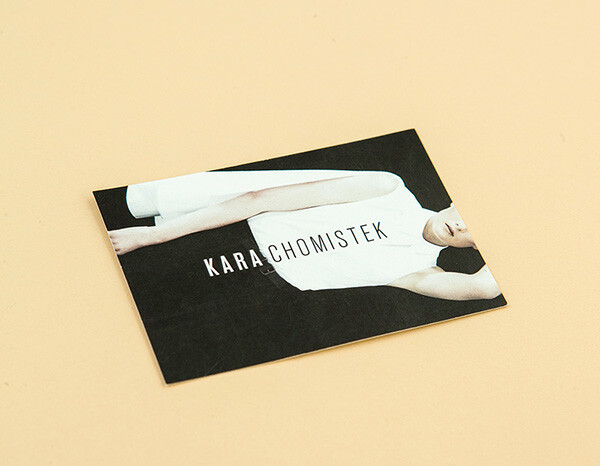 Upon further investigation, Lisa noted that Kara merges her diverse skill set from her engineering and arts background in order to design and execute various projects from fashion styling, creative direction, fashion presentation to fashion design. 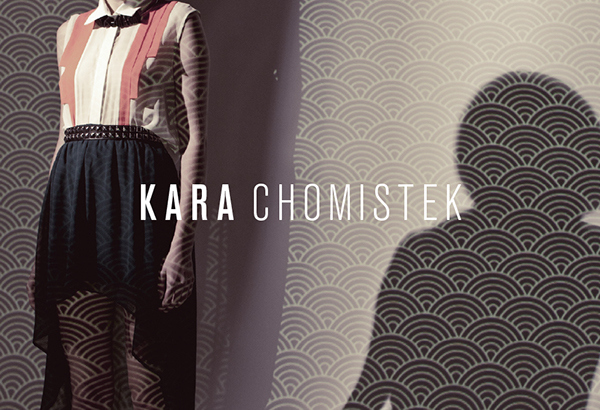 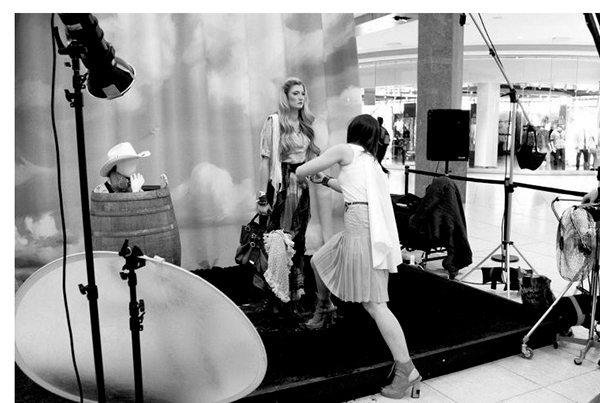 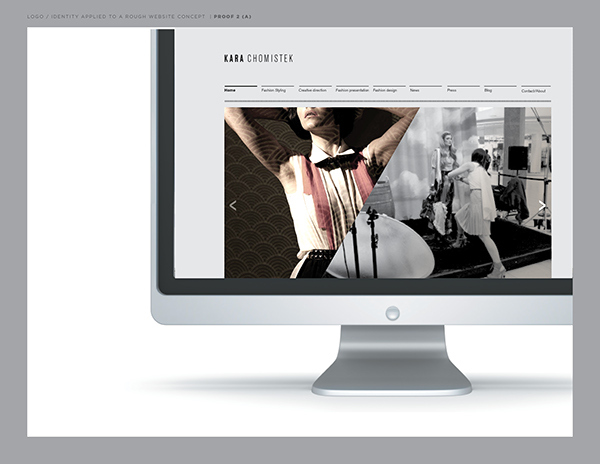 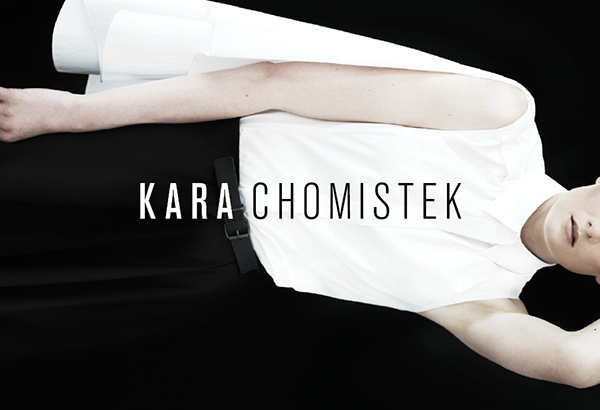 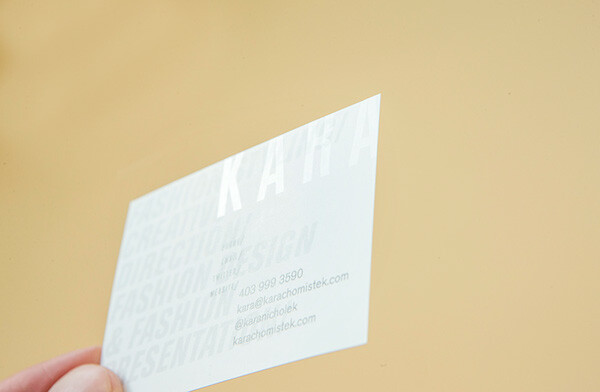 Kara provides services for retailers, designers, publications, private consultations and event. 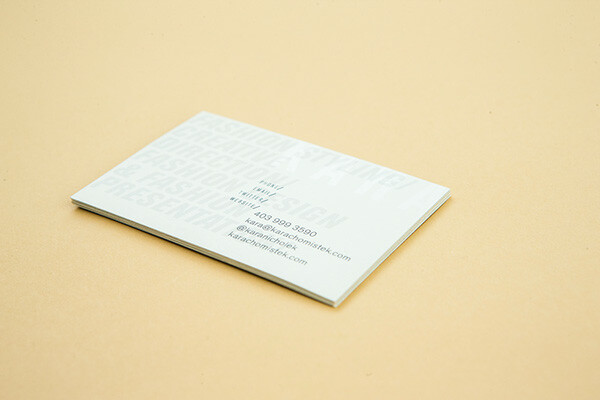 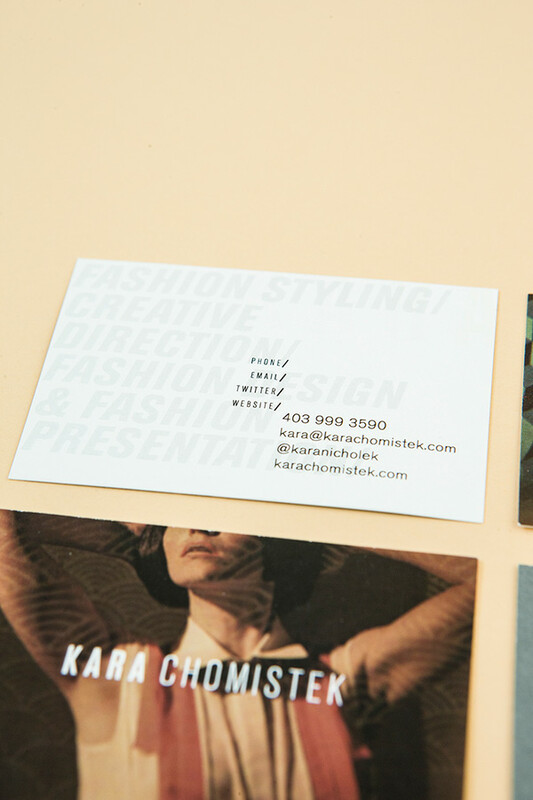 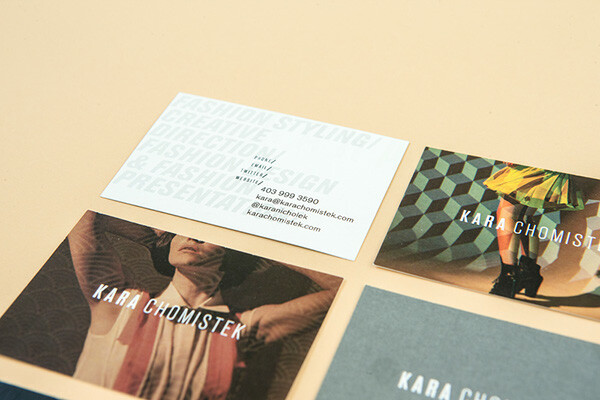 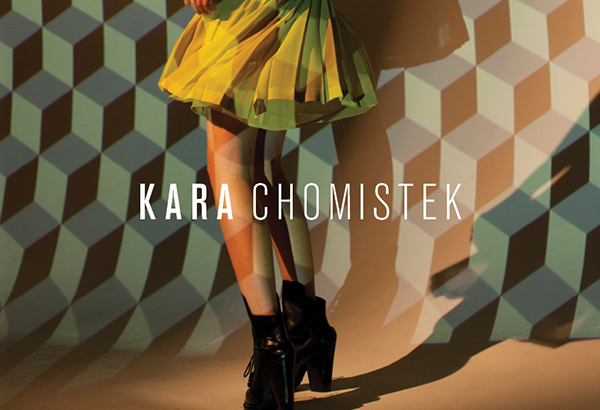 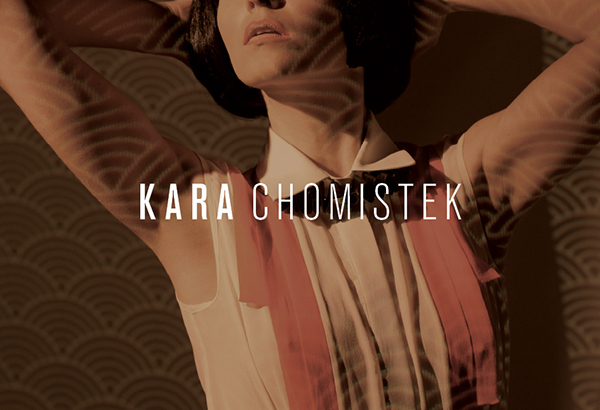 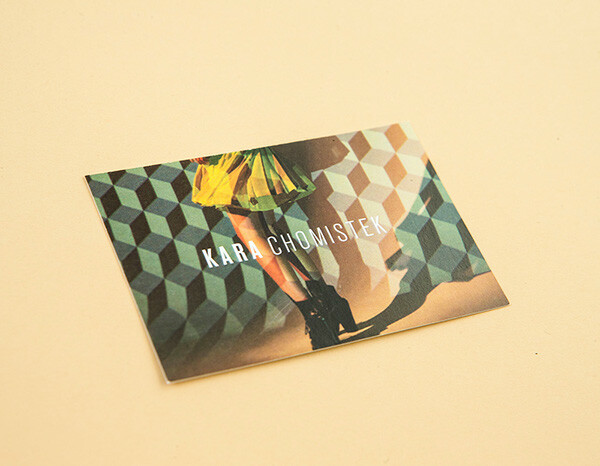 The solution was to provide Kara's target audience with some insight into her design sensibility, cropped styling examples were included on the backs of her business cards, and various snippets of her work was incorporated into her identity. 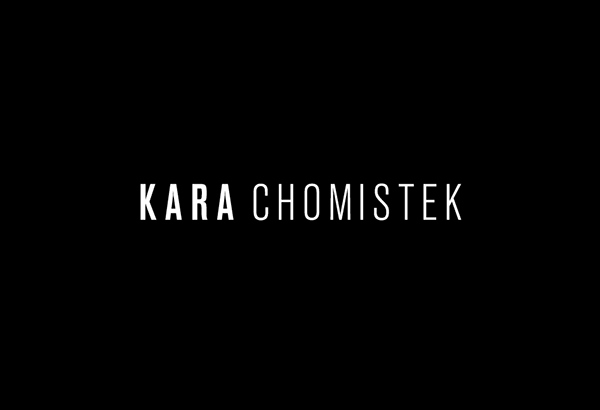 The simple, modern black and white word mark reflects her classic approach and offers a timeless feel as, like fashion trends come and go.